We don’t know about you, but we were glued to our screens watching the American Music Awards last night. With amazing performances, gorgeous outfits, and hilarious red carpet moments, the AMAs are always one of our favourite awards shows. Whether you missed the show or just want to relive the best bits, we’ve got the lowdown for you right here. First of all, the winners. Taylor Swift took home 4 awards last night, which has broken Whitney Houston’s record of most AMAs for a female artist – T. Swift now has a total of 23 of them. The red carpet looks were on point. Presenter John Stamos arrived in a sharp navy velvet suit and a Jonas Brother 2009 World Tour t-shirt. Truly a man after our own hearts. Taylor Swift returned to claim her red carpet crown. This mirrored Balmain dress and matching boots were AMAZING. Halsey and G-Eazy seem to be very much so on-again after a brief split and they’re looking proper cozy here. 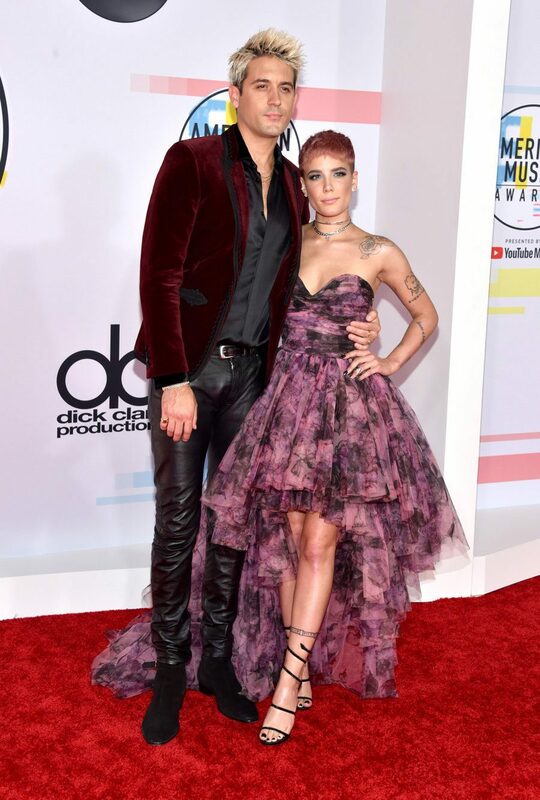 We’re loving Halsey’s gorgeous high/low floral dress and soft pink hair. Like John Stamos, G-Eazy is seen wearing velvet – he’s paired the blazer with a silk shirt and leather pants. Post Malone is known for his unique decorative suits and he absolutely did not disappoint last night. This one features imagery of snakes and has his initials embroidered on the shoulders. 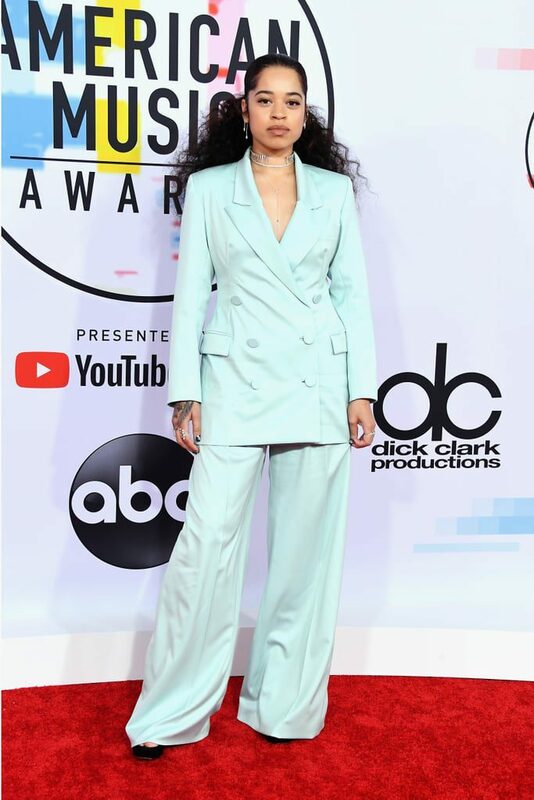 Ella Mai looked absolutely fabulous in a mint green double breasted pant suit that featured super-trendy wide legs. We love a good red carpet interview. Whether they’re serious and give us insight into the artist and their music, or just really hilarious, they’re always fun to watch. Here are a few of our favourites from last night. Shawn Mendes: Consistent looking human. 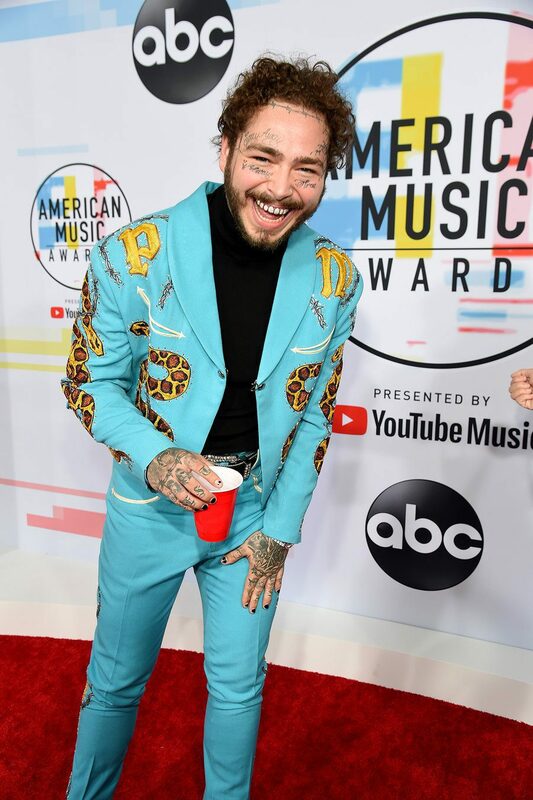 Post Malone: Future country star? Don’t know who Benny Blanco is? Check out 10 Songs You Didn’t Know Benny Blanco Wrote. This producer is finally stepping out into the spotlight after years of working with our faves behind the scenes. We’re so proud of her! Let us know your favourite part of this year’s AMAs over on Twitter @umusic!